South Gloucestershire Council were winners at the Federation of Small Businesses (FSB) ‘Local Authority’ Small Business Awards covering Gloucestershire and West of England. 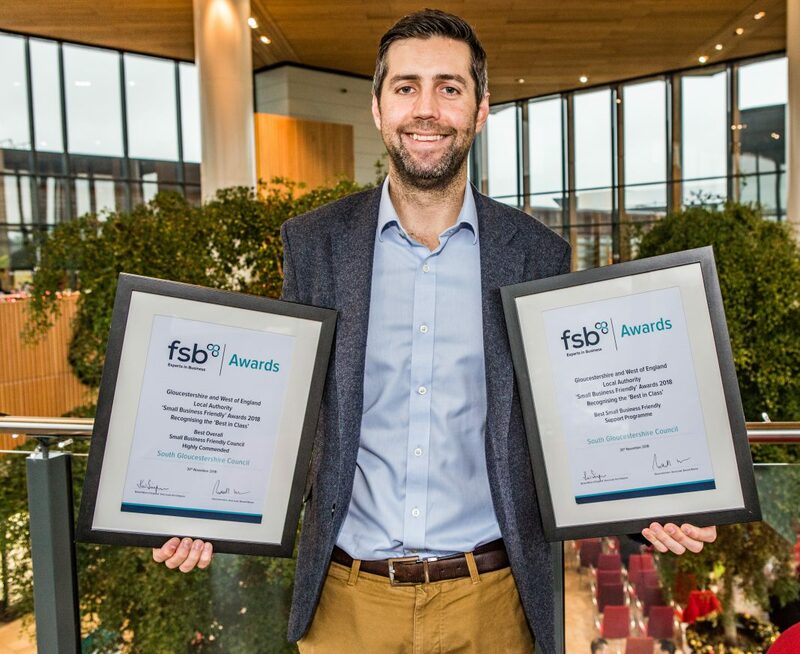 The FSB ceremony on November 30 acknowledged our work to support small businesses – we won the Best Small Business Friendly Support Programme award, and were also highly commended in the Best All Round Small Business Friendliness category. It came before we also successfully hosted our eighth Annual Business Breakfast Forum at the Bristol and Bath Science Park on December 6, which this year focussed on providing advice and support for small to medium enterprises (SMEs). The forum welcomed a diverse range of SMEs and provided another opportunity to bring together networks to learn best practices and share smarter ways to do business. Out of the 10,000 businesses located in South Gloucestershire, 99 per cent are SMEs. We provide an ongoing business support programme to South Gloucestershire SMEs through funding opportunities such as Small Business Saturday, interactive and engaging workshops, as well as various training opportunities and business networks. More recently we have also introduced entrepreneurial wellbeing workshops for SMEs to learn the effects that stress can have on individuals and in the workplace. Councillor Toby Savage, Leader of the Council and Cabinet Member for Schools, Skills and Employment, opened the forum. He said: “It was fantastic to hear of our success at the FSB awards and then welcome and meet representatives from different businesses and organisations who all contribute so much towards supporting South Gloucestershire’s vibrant economy. For further details of training and funding opportunities, as well as future workshops and new schemes available to SMEs in South Gloucestershire, visit our business-focussed portal www.insouthglos.co.uk which offers a “one shop stop” for business information, advice and guidance.